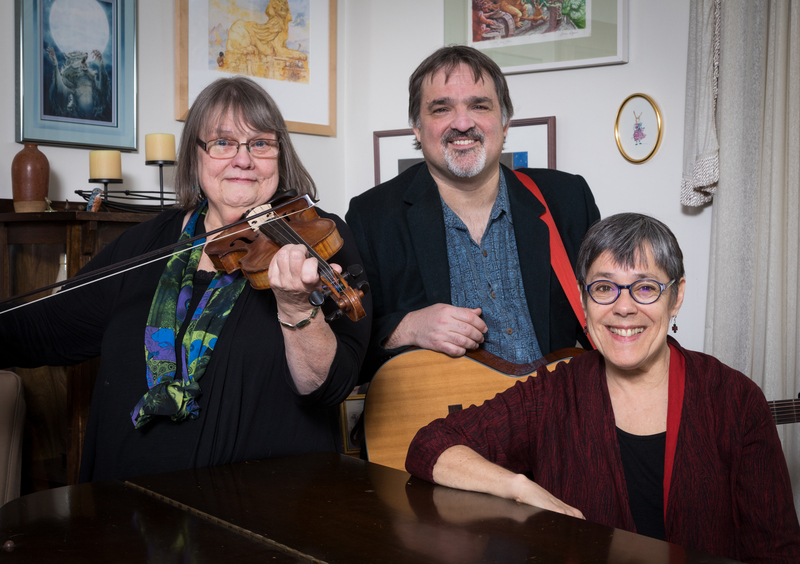 In 2017, the trio played for Monadnock Folklore Society, Pioneer Valley Co-housing concerts, Old Songs Concerts, Music on Centre in West Roxbury MA, and Saturday Night in Marblehead MA. 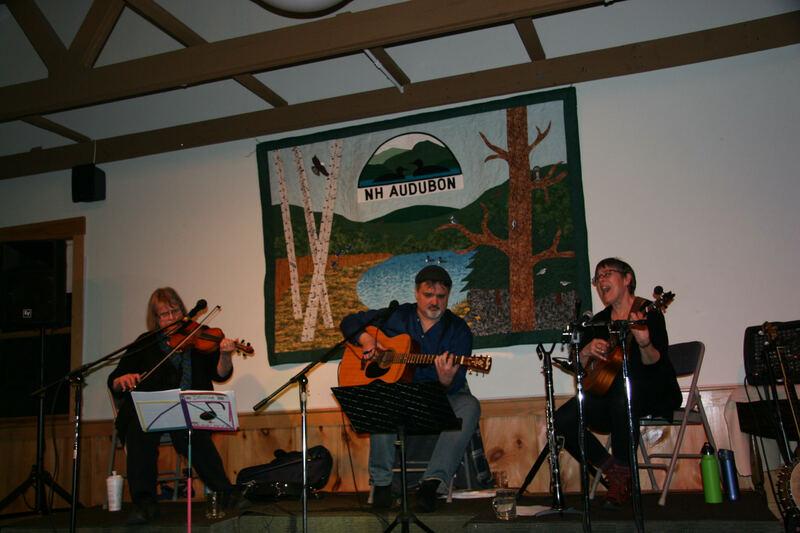 In 2018, they play for the Walkover Gallery in Bristol VT, The Chocolate Church in Bath ME, NH Audubon in Concord, Tompkins Cultural Center in NY, the Sea Music Festival in Mystic CT, and the Old Songs Festival. Lui Collins earned international acclaim for her Philo and Green Linnet recordings and her intimate concerts. These days, along with creating playful 4-string arrangements of some favorite original songs, Lui has been exploring the fabulous jazz chords in old American standards and bossa nova on tenor ukulele. “Incomparable.” – Sing Out! Magazine. Donna Hébert is a cultural treasure, a Franco-American fiddler and composer three-times documented in Smithsonian collections. Recognized in 2009 for “outstanding artistic achievement” by Massachusetts Governor Deval Patrick, Donna also teaches fiddle and performance at Smith and Amherst Colleges. Donna founded and directs yearly participatory children’s performances at Old Songs and Philadelphia Folk Festivals. Jane Yolen, internationally-acclaimed writer and award-winning author, often called “The Hans Christian Andersen of America,” celebrated the publication of her 365th book on March 6, 2018. Of course–as she herself points out–winning awards can be hazardous. One of her awards set her good coat on fire. Luckily she wasn’t in it at the time. Shows offered include afternoon and evening concerts, teaching sessions for fiddle, guitar, banjo & ukulele, as well as voice production and vocal harmony workshops. Some shows also feature Jane Yolen reciting her poems. As a quartet, they also perform their show, “The Infinite Dark,” based on Jane’s poetry.